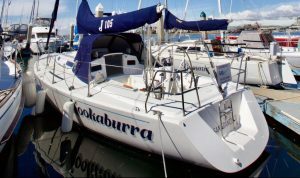 So, you have decided that you want to sell your boat – what are the benefits of listing it with a broker? First, Sail California is able to offer your boat far greater visibility than you can as a private seller. Whether in online publications like Yachtworld or in print magazines like Latitude 38, Seahorse, Cruising World, or Sail Magazine, Sail California has access to many advertising resources and it’s our job to give your boat the best visibility possible. This leads to a quick sale and the highest possible value for your boat. Second, Sail California represents your best interest in selling the boat. We keep the boat looking its best, make sure that it is shown to all available customers, and deal with “tire kickers” so you don’t waste your time. They also lead the negotiation process, so that you come to terms quickly and get the highest possible value for your boat. Once an offer is taken, they take a 10% deposit into escrow so that you can be certain that the buyer is legitimate. Last, Sail California still has lots of work to do after you and a buyer have agreed on a price. We facilitate a marine survey, take the buyer on a sea trial, and implement other contingencies to ensure that the deal will succeed. With Sail California, there’s no need to be involved in the contingencies yourself, nor is there any need to deal directly with the buyer. After contingencies are met, Sail California finalizes the sale, collects funds from the buyer, and then pays you. All in all, it makes an easy transaction for the buyer and seller and ensures that all of the paperwork is in order. A Proven Track Record: Sales of J Boats and other used performance yachts for over 30 years. Knowledge of Boats: The salespeople in our office have over 100 years of racing, cruising and powerboat experience. If there’s something to be done in boating, one of us has probably done it…and probably even participated in the design! Professional Sailing Expertise: All of our salespeople are experienced in the boating industry. Our connections are unparalleled. Marketing Skills for Optimal Visibility:. Our creativity and experience can bring visibility to your boat, unlike any other broker. Professional Sales Experience: Our salespeople have worked extensively and successfully in the marine industry and beyond. We guarantee selling your boat will be a positive event. We are serious about selling boats, but we also wouldn’t be doing this job if it wasn’t fun! Our enthusiasm is contagious.